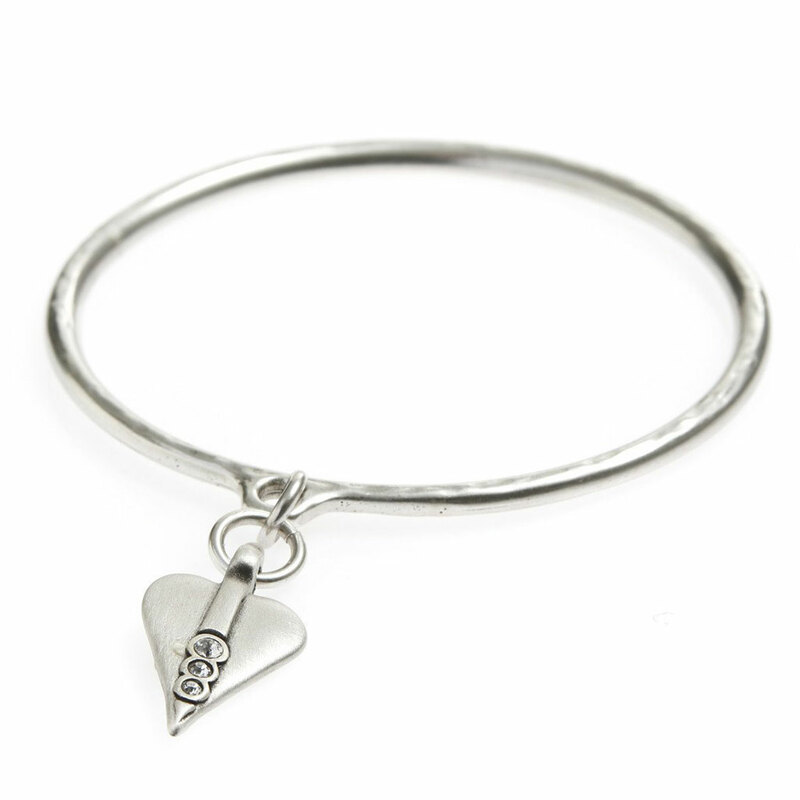 Exquisitely adorned with a trio of glimmering Swarovski crystals, this delightful new Danon Silver Bangle with Swarovski Crystals Small Heart Charm could not be more charming. 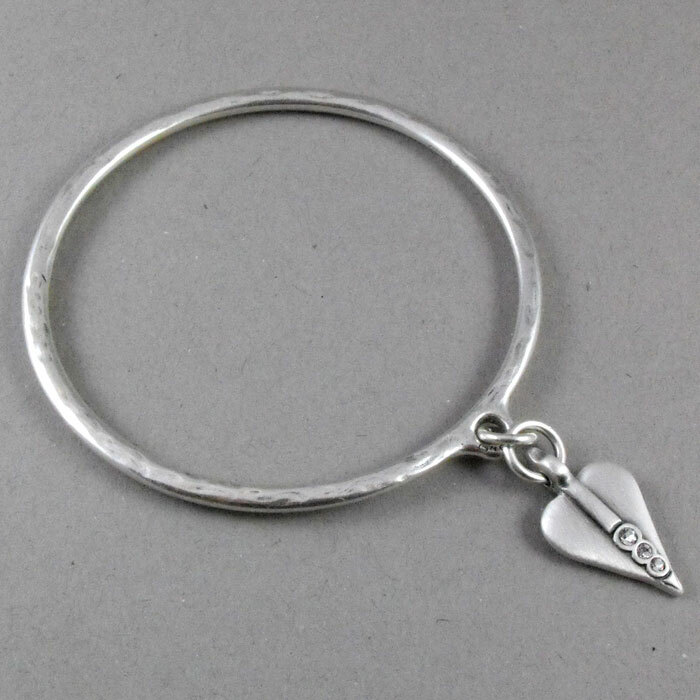 The beautiful bangle is plated in silver with a softly hammered effect texture and further adorned with Danon’s signature heart with a difference. Worn by all ages to suit any occasion from smart casual to dining out. 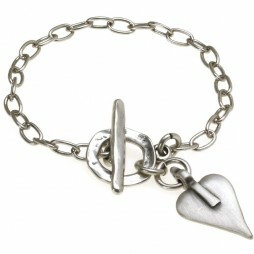 With an inside diameter of approximately 6.9cm and a 2.8cm long by 1.5cm wide silver signature Danon heart charm. 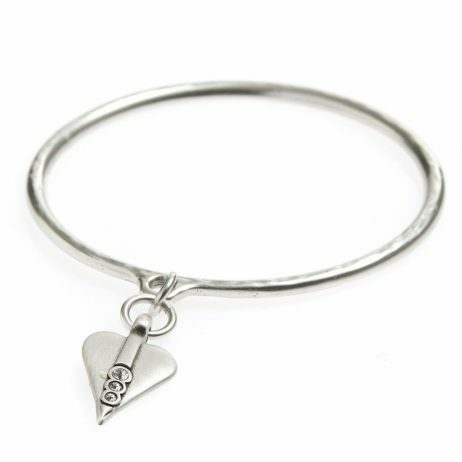 Bring your Danon Jewellery together by wearing your Danon Swarovski Crystals Heart Bangle with other co-ordinating pieces from Lizzielane. 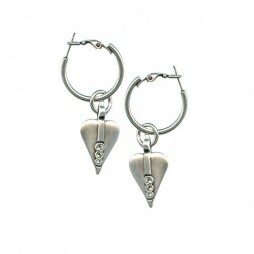 Matching Danon earrings, bracelets and necklaces are all available on-line here. Josef Danon initially established Danon Jewellery during 1975 and they were located in Israel’s Tel Aviv. 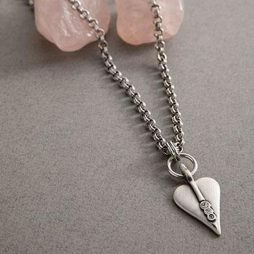 From a small family managed work shop Danon have received attraction and their statement jewellery has grown to be in demand throughout the globe. 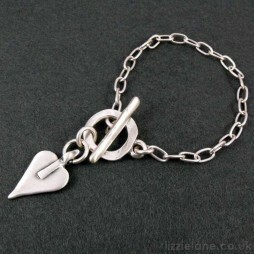 They specialise in only one element: creating jewellery as well as gifts that people today need. 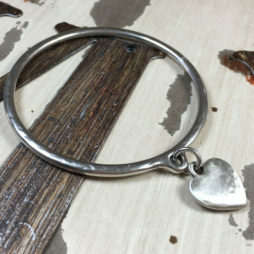 Still made in Tel Aviv, Israel by Danon, their attention on detail and design and style is what makes their jewellery so unique and sought after. 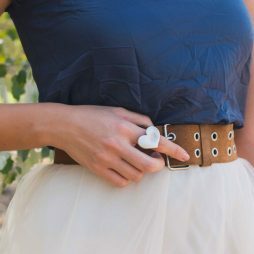 Being fashionable, eye catching and appealing, their designs are exceptionally wearable and likewise very reasonable – Evidence that first rate craftsmanship need not cost the planet. Jewellery from Danon is identified along with sought after design and style along with high quality that is merely elegant. Danon have over the years created collections that along with utilizing the very latest and modern production processes, have actually all been hand finished to offer each piece that individuality that we have come to associate with Danon and their Jewellery. 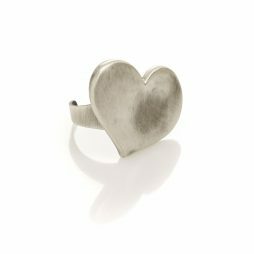 Valentine's Day Gifts, Danon Jewellery, Danon Bangles, Danon Signature Heart Collection, Gift Ideas, Gifts £20 - £40, Bangles, Silver Bangles.